Fruits flies have been irritants to humans for so long that in the Western culture, they are deemed to have come out straight from Pandora’s Box. They breed rapidly and lay thousands of eggs. Fruits flies also happen to be vectors of many diseases and although they die in the colder months, you still start seeing them around spring time. Let us study some ways to handle a fruit fly infestation. Swatting the fly with a mesh swatter is the traditional method of getting rid of flies. You can also use a rolled up newspaper to do the job. However, fruit flies are gifted creatures having sensors on their wings which alert them to changes in air currents. This is why they are so fast in flying away quickly. The key to clapping these flies to death is to aim just behind them. This way, the flies end up landing in your palms. Please wear gloves before using this method to get rid of fruit flies. If you want to use swatting, you may want to close all light sources and curtains. Leave just one window open with a sliver of light coming in. This way, the flies will head straight to the light sources where you can zap them. You can get rid of fruits flies in plants temporarily by spraying them with squirt of soapy water, starchy water or rubbing alcohol. However, this method needs a good aim and stealth. The best natural way to get rid of fruit flies in plants is to plant citronella, camphor, chinaberry or mint in your kitchen garden. You can also crush these herbs to release their strong aromatic compounds which are repulsive to flies. Sometimes, planting a garlic clove in a pot with plants can help deter pests. You can also plant chives having delicate tops. Catnip is actually a better fruit fly deterrent than DEET! So do grow catnip in your garden if you wish to prevent fruit flies in plants. 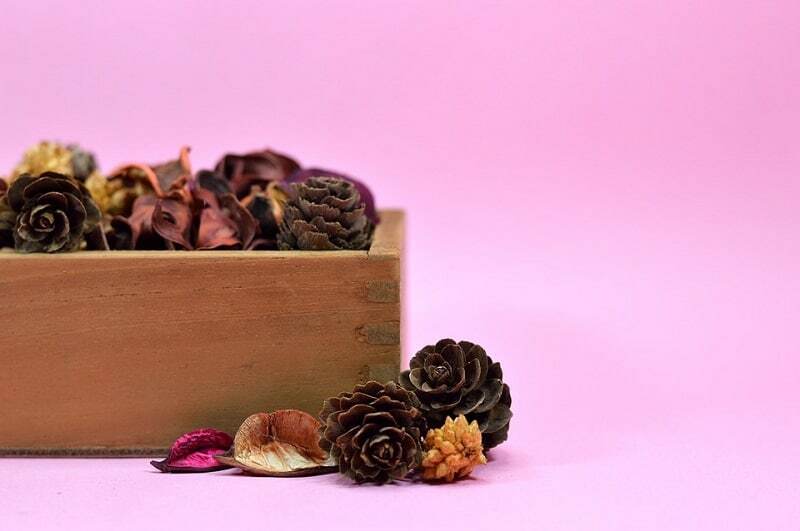 To get rid of fruit flies around the house, place herbal potpourri made using crushed dried bay leaves, cloves, pennyroyal, basil, tansy, rue and eucalyptus leaves. Leave these herbs around your fruits to repel flies. Fruit flies especially hate basil. Place basil pots along window sills and near drains. You can also make dried basil pouches in muslin bags and hang them around the house. Massage the pouches from time to time to keep odor strong. Fruit fly infestations can be easily controlled using fly traps. Fly traps work beautifully since the trapped flies actually attract more flies to the trap. Flies are inquisitive in nature and they also love to eat. When they see fellow flies (not knowing they are trapped) they are drawn to the traps. Fly traps come in various shapes, sizes and price tags. You can readily make fly traps at home or you could buy cheap fruit fly traps from stores. Fly traps are readily available in garden centers, home improvement stores and even through mail order. You can easily bait and trap fruit flies with homemade fly traps. These can be made with beer, vinegar, buttermilk, rotting bananas, raw hamburger etc. An easy method of getting rid of fruit flies is to mix one part molasses with three parts water and bit of active dry yeast. This makes a fermented solution. Fruit flies are drawn to it and they fall in the solution and die. Cornmeal and molasses ferment into a sweet fly trap mixture. Make sure you keep the bait moist. If you want to use these traps to get rid of fruit flies in plants garden, then do keep it out of the sun to prevent dryness. ( You can keep the bait in a shallow dish of water). This is a simple trap to get rid of fruit flies in the drain. Cut up or mash some rotting fruit/banana in a clear glass jar and place a funnel on top. Fruit flies enter the jar through the funnel but they cannot escape. The drawback of this method is the trapped fruit flies will continue to party and feed inside the jar. You can pour boiling water in the jar to kill them. Start the process all over to trap the new comers. The best way to trap fruit flies is to place a glass dish containing sweet liqueur or white vinegar, sugar and dish soap in equal parts near the infestation. By morning all the flies will be floating in the dish. This is a standard method to get rid of fruit flies in the house. Hang sticky fly papers near the ceiling where flies usually hang. You can buy decorated stcky paper with designs of tiny flies on it. Alternatively, you could go in for the window version that traps flies inside envelopes. For outdoor use, go for the fly trap papers with spools of wide sticky tape and tiny black dots resembling flies to lure fruit flies. These tools are effective in eliminating fruit flies indoors. Many units have ultraviolet light which effectively attract flies and other bugs as well. 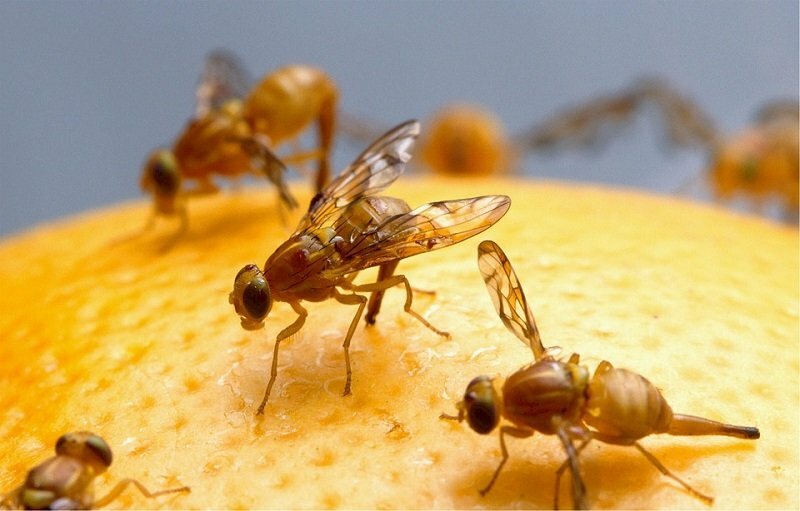 Spraying pesticides can kill fruit flies but this method has disadvantages. For one, the ‘superflies’ are resistant to chemicals and they start multiplying despite being hit. Secondly, these sprays contaminate the air you breathe. So it is best to avoid these products. Also stay away from vapor emitting fly strips. These are not meant to be used around food and babies so why should you use them around you? Many have been linked to children’s cancers. Fruit flies have many natural predators. Ants, toads, wasps and spiders eat flies. So if you are looking for natural ways to get rid of fruit flies in plants, you could allow ants to come in your garden. Wasps are also preferable to flies in some instances so you could even consider allowing a wasp nest in your garden. Other biological methods of fruit fly control are BTI or bacillus thuriginesis israelensis. You could even consider introducing fly parasites that devour flies but are not pests themselves. Do not allow food to sit open. Cover and refrigerate leftovers immediately. 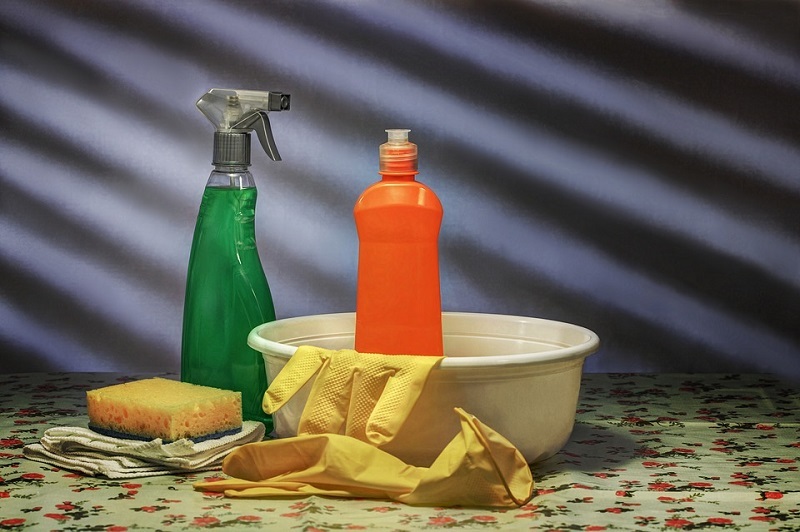 Clean and wipe countertops every day after use. Use vinegar for cleaning. Do not allow fruit to ripen. Use them immediately or refrigerate or cover them well. Wash and dry trash cans. These are the biggest sources of maggot infestations. Sprinkle powder soap at the bottom of trash cans. Separate wet and dry garbage. Use a closed composting system for getting rid of organic kitchen waste. Rinse out all cartons and cans before recycling. Avoid using disposable diapers-they are the main sources of flies. Never leave cat or dog food outside. Do not let water accumulate under potted plants. Water plants less and discard accumulated water right away. Screens help deter flies. Clean the screens regularly. Make sure they work and fix any holes immediately. As stated before, fruit flies are sensitive to air current changes. Moving air can help deter flies especially in warmer months.